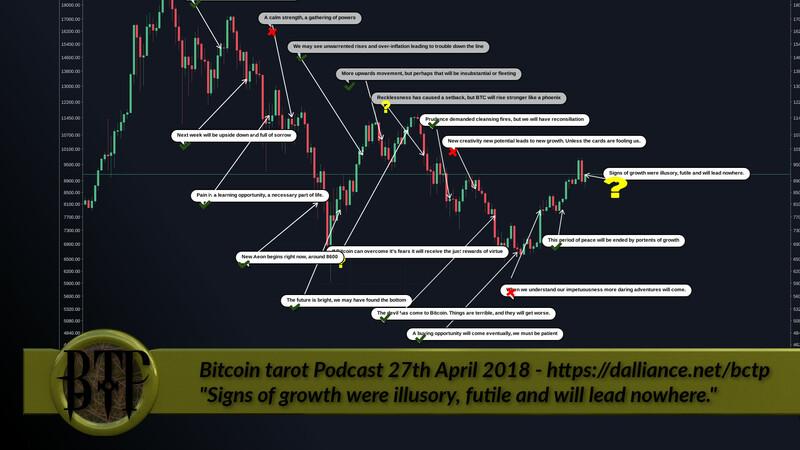 Last week the cards said that the period of calm would be ended by portents of growth, then Bitcoin went up 20% before falling back half of it’s gains. Was that a portent? Cosmic Conroy reads the cards and finds that the signs of growth were illusory and futile and will lead nowhere. Synopsis: Signs of growth were illusory, futile and will lead nowhere.